I love when someone can take something that is normaly a little bit drab and punch up the color and design to make them fabulous. The sibling team behind These Creatures has done just that. They have taken some fabulous silhouettes, combined them with steel and a little powder coating and made them into some beautiful pieces. Normally I am not a big fan of wall hooks but these look amazing. 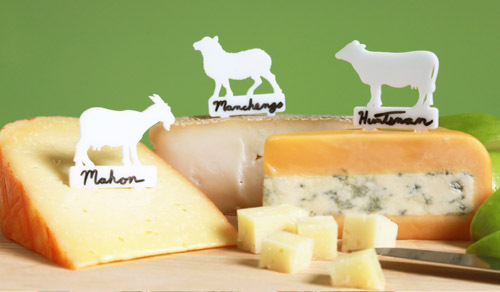 They also carry a wide range of good for you and your pet such as fencing, mini hooks and bookends. Check them out. Can you guess where we are headed next week? Big things have been happening around here the last few weeks. Decisions are being made, changes are happening, excitement is in the air! More on that in the next few weeks! In the meantime have a great weekend! I am getting ready to pack up the car and drive down to Philly in a few hours. I hope that I see a few of you tomorrow and Sunday at the Art Star Craft Bazaar at Penns Landing. Matt and I will be working our Peppersprouts booth with some new pins, and whiteboards. Our good friends from KimmChi and Fubabee will right across the aisle from us as well. 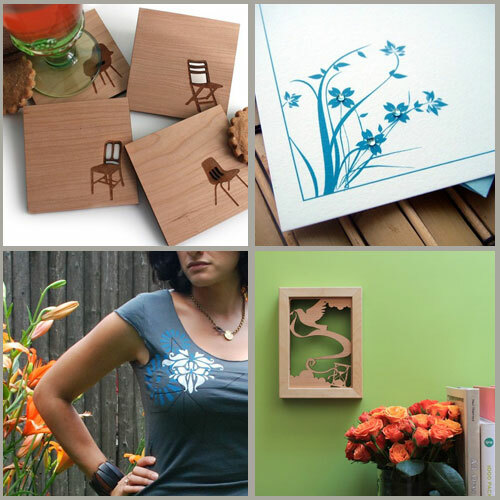 KimmChi has some awesome screen printed shirts, and Fubabee’s paper goods are just beautiful! Hope to see you there! Perhaps I am a little late with the Alice themed items but either way I still love these little tables from Thomas Wold. 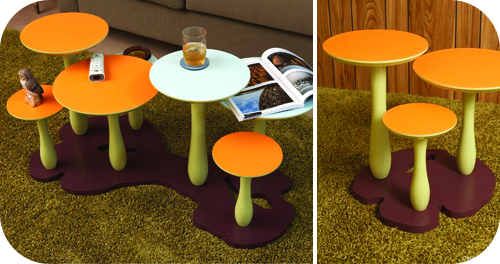 They are available in a coffee table size as well as a smaller end table size. While you’re checking out their shop be sure to browse thr lighting section, some very cool things in there! I love these mood lights from Tuavus Design. 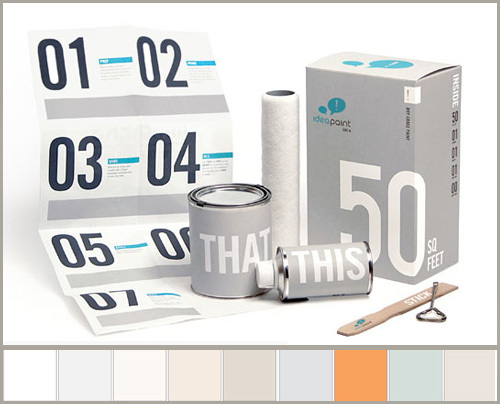 The standard size seems to be about 6″ tall and actually come in a few different styles and colors. I love the concept and the extra fun thing is that to turn off the light you simply lay the object on it’s side. 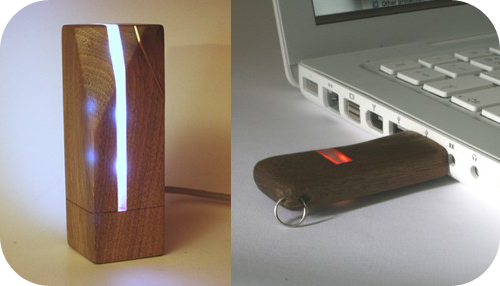 Tuavus Design is also making some very hip USB flash drives as well that would make a great gift for you modern design junkies. Fred & Friends puts out so many great products every year. I’m sure you have seen the nesting measuring cups they did last year. Well to keep that momentum alive they have made nesting drinking glasses. 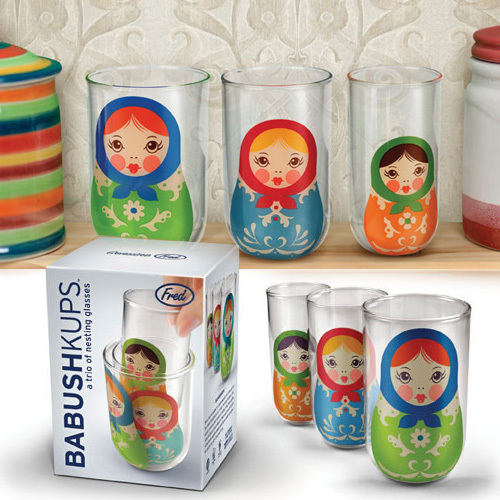 These little Babuskups arrive as a set of three nesting drinking glasses. These would be perfect for a graduation gift for those moving out on their own. Check them out at Perpetual Kid and signup to be notified when they arrive in May. 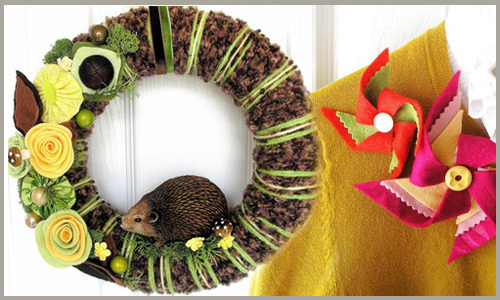 You may have seen the lovely wreathes from Knock Knocking during the winter holidays. But why wait until the weather turns cold again to source up your door? 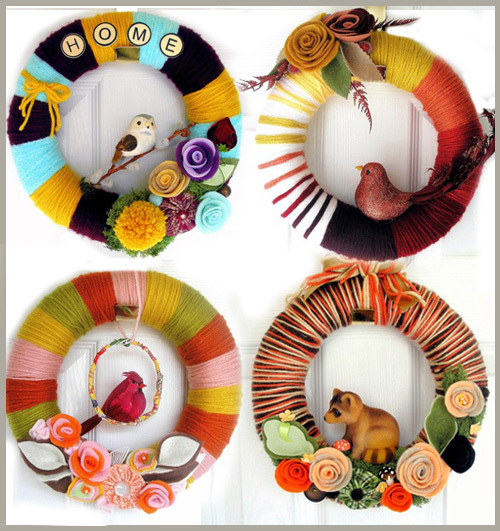 Check out her new spring designs which are sure to put a smile on your face every time you come home! I also love her new pinwheel brooches that would look spiffy on a cute little cardigan! Okay enough exclamation points, check them out for yourself! A few months ago I posted about colorful paint that doubles as a chalkboard surface. While I am absolutely in love with the idea of turning an entire wall into a writing surface I just don’t like the feel of chalk in my hand. The good news is I can still have my wall of notes and doodles with the dry erase paint from ideapaint. 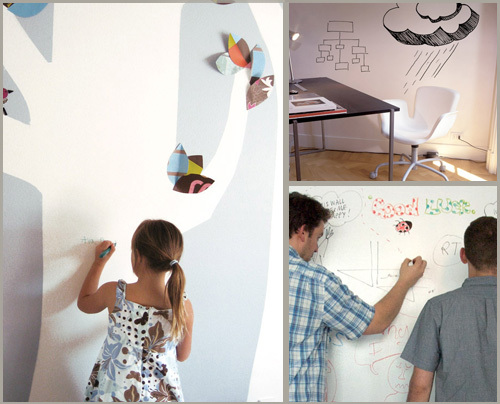 Available in a few different hues, this paint will turn virtually any surface into your very own marker board! What would you turn into your own personal notebook? Some people spend their extra cash on clothes, some treat themselves to spa days, others to a night on the town. I have always been a home goods junkie. This year Bodum is my new enemy. 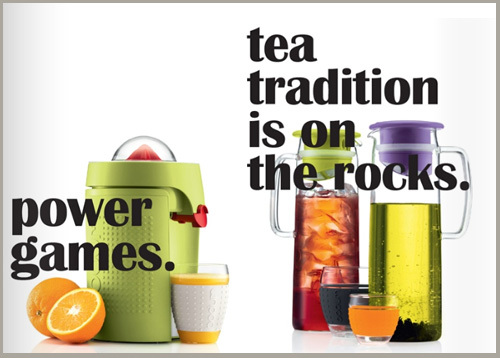 Just look at these sleek modern juicers, tea pitchers, coffee presses… the list goes on. 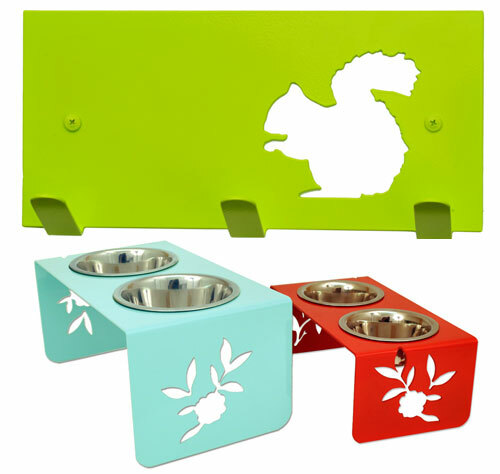 The colors these new items come in are vivid and friendly and would definitely be the kind of thing you would always leave out on the counter just to add a little pop to your kitchen. 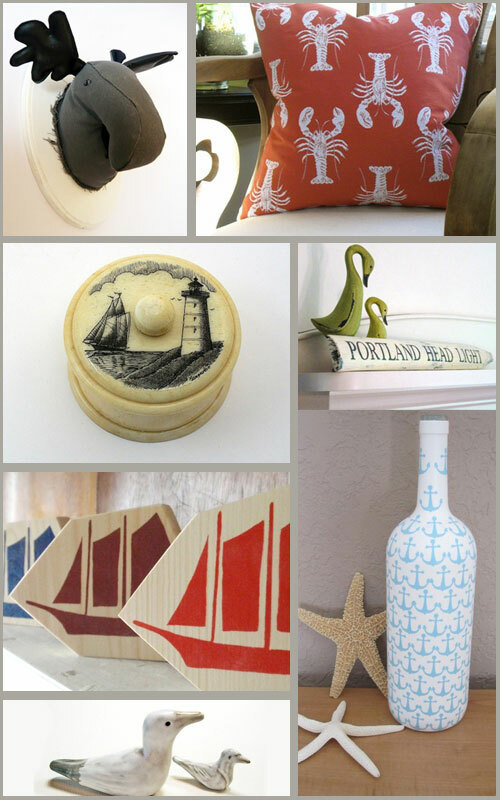 These are the perfect wedding and housewarming gifts! 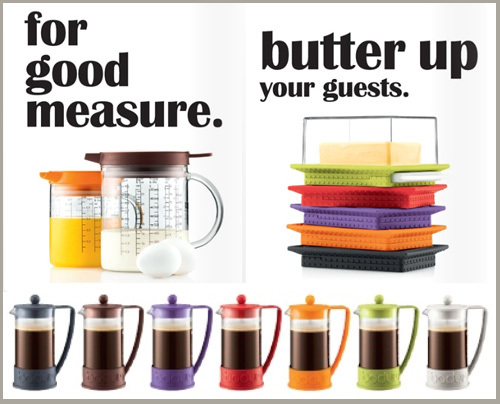 Not only is Bodum known for its product design, their quality and longevity are just outstanding! Check out the full 2010 catalog on their site.